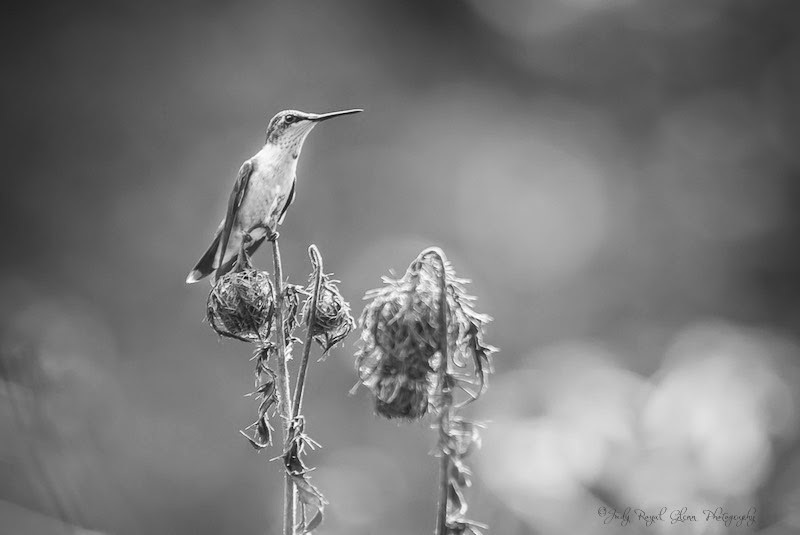 I still have Ruby-throated hummingbird images that have not had the chance to see the light. I need to get them posted before the hummingbirds come back this spring. So since we just finished Thanksgiving, I want to do an after Thanksgiving thankfulness post. 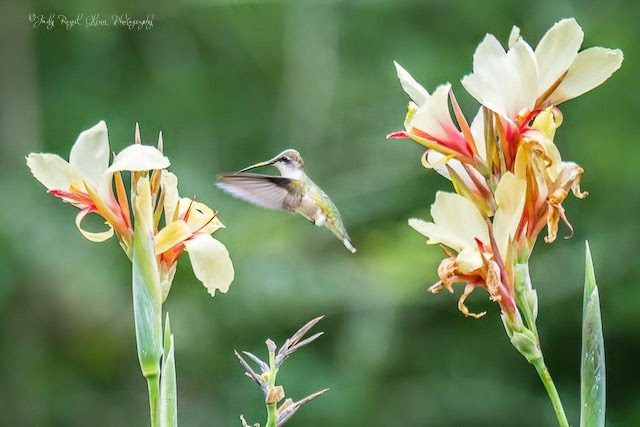 I am also so thankful for hummingbirds! I went to the State Botanical Garden of Georgia today to photograph. I knew I may not find much, but there is still beauty to be found. 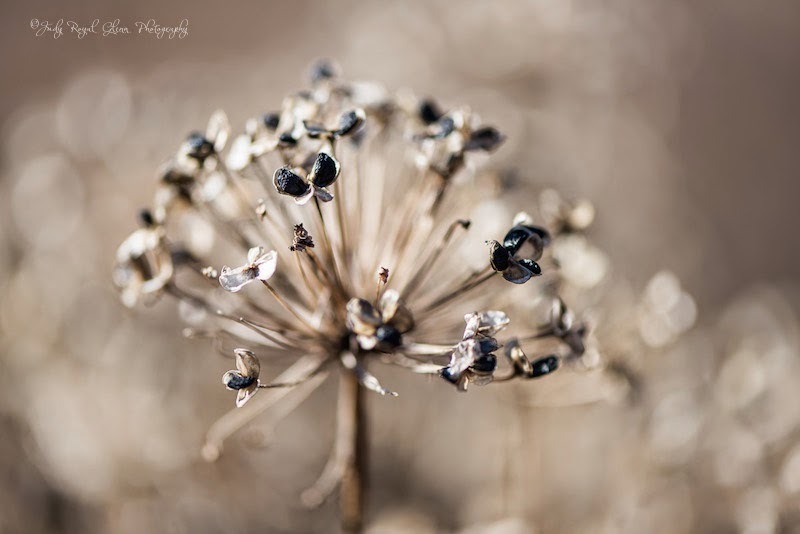 The pretty, colorful flowers are no longer there, so you just have to look a little harder. I love getting to the State Botanical Garden early in the morning because the deer are usually eating their breakfast. The Garden has a fence to keep the deer out, but somehow a family of deer has made it into the Garden. The curators spend their time making the garden beautiful, but the deer just see the plants as food. 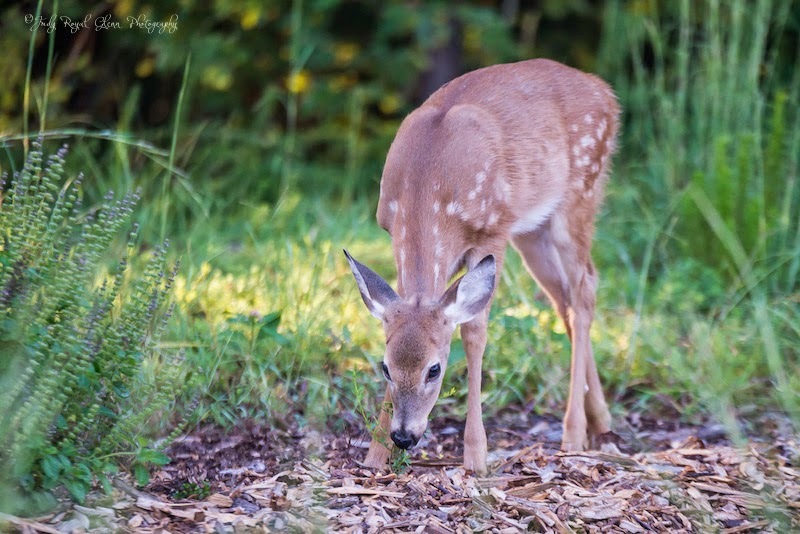 The deer are used to seeing people, so this fawn let me get real close! I found this King Fisher at Memorial Park and was very excited! I have only had one other occasion to photograph a King Fisher, and I was too far away to get a good shot. 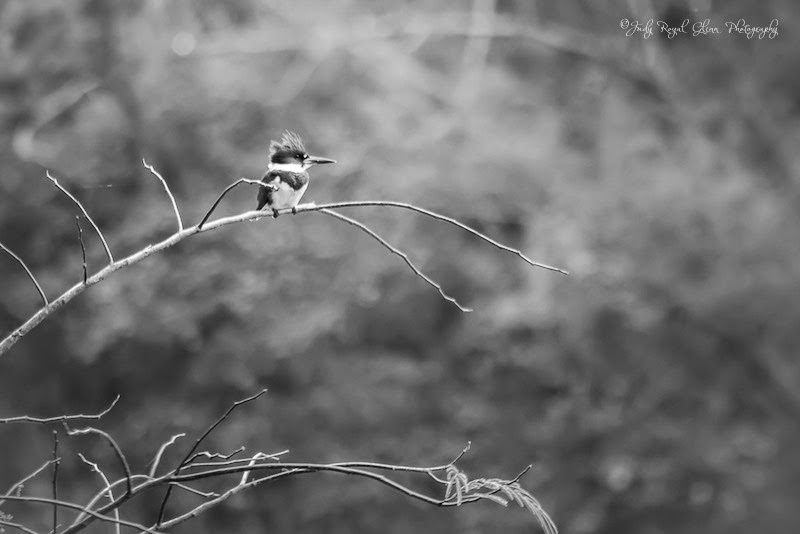 The King Fisher reminded me of a tendency hummingbirds have.....perching on favorite branches. He had two branches that he perched on regularly. When I walked up, he was on this branch. I did not see him and scared him, so he flew to his other favorite branch. It then became follow the leader. He was the leader….I was the follower. He left this branch, but I knew he was coming back, and I waited for him. I took this photograph while at the Wild Animal Safari. 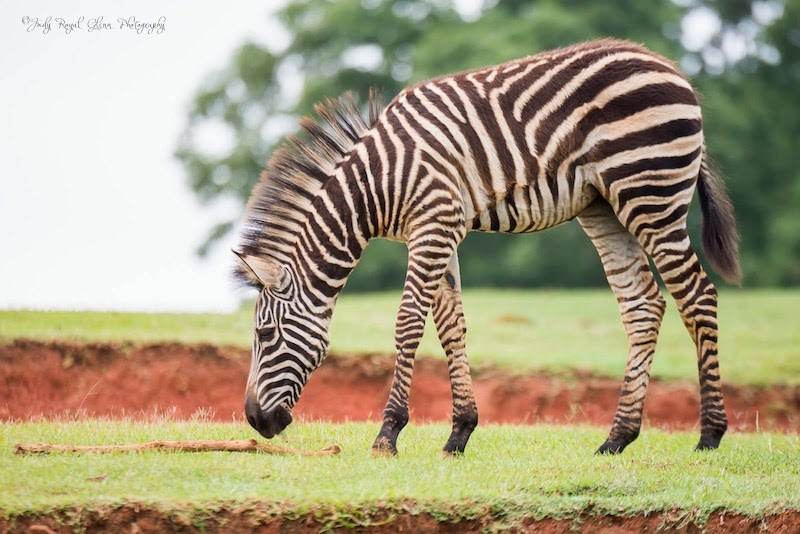 I was glad I was able to photograph the zebra at eye level. Looks can be deceiving. It looks as though I am laying on the ground to take this shot. The zebra looks like he is fetching a stick for me. I did not remember until yesterday that I forgot to update my blog post "Two Miracles." It was a story of how the Lord allowed me to photograph two miracles at once. The incredible story is too long with too many amazing details to summarize, so you can click on the link here. 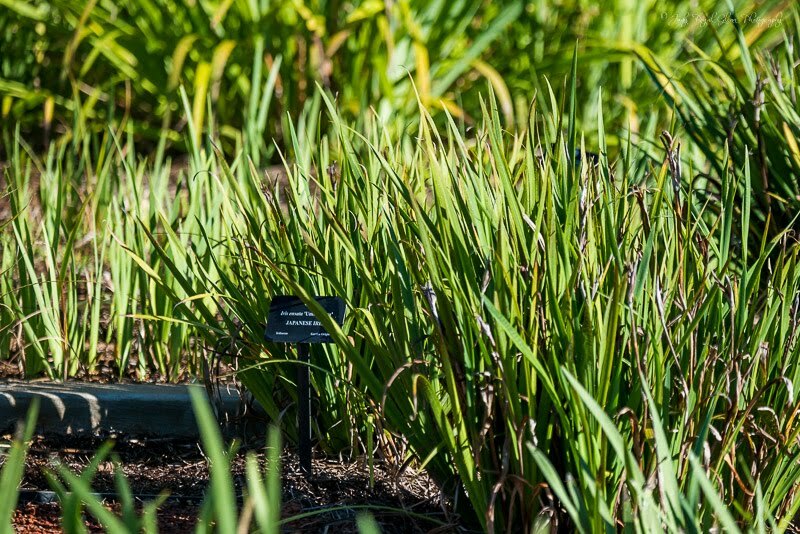 This photograph of the Iris plants is not meant to woe anyone. I just took a quick photo to document the Japanese iris did not bloom at all in September 2014. This photograph was taken on September 16, 2014 and shows no buds or flowers. This plant finished blooming during the summer like the rest of the iris plants. The last time I photographed the Japanese iris in 2014 was at the end of May. To me, it just adds icing to the cake and solidifies the truth to the two miracles told in my story. 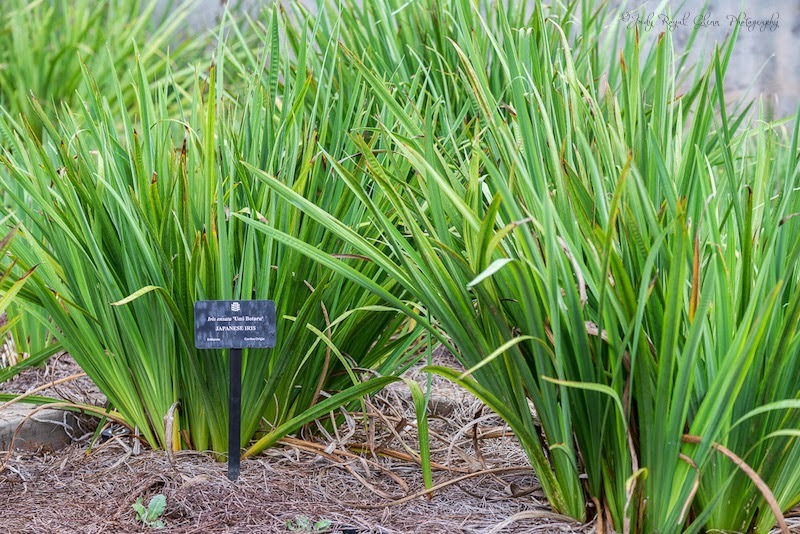 Click here to read the story of the dwindling Japanese iris flowers in 2014. I was excited to photograph another amazing shot this year. 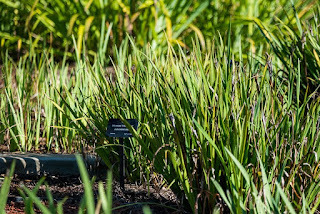 I think the Japanese iris is going to be a plant I photograph every September! This is the photograph I took September 15, 2015……again no flowers anywhere! 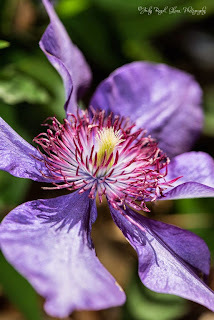 I have been noticing the beautiful purple flowers in my neighbors yard and wanted to photograph them. I saw my neighbors out walking the other night and asked them if it would be okay. They did not mind at all. I went out yesterday morning and enjoyed photographing the beauty that was before me. The clematis flowers were stunning. 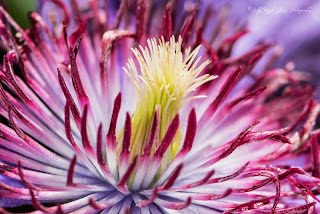 While editing I noticed a visitor on the flower that blended in so nicely because it to was the same color as the flower. Can you see it? 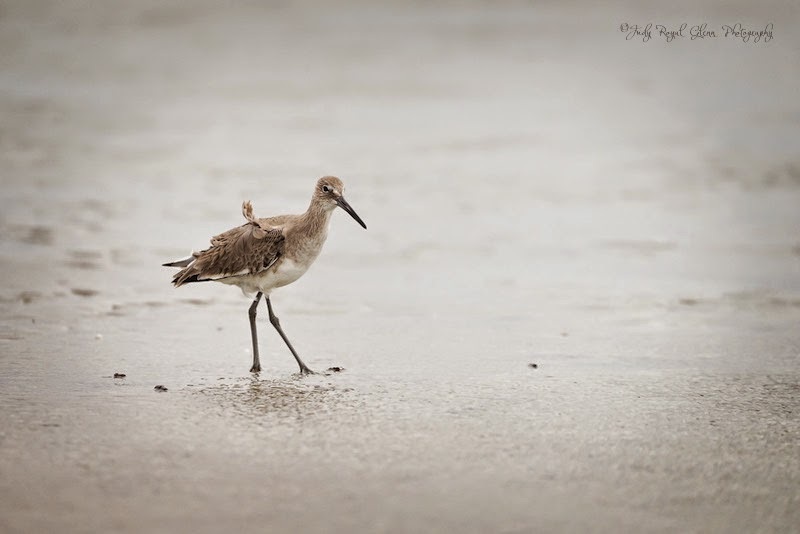 Sandpipers have a hard time going slow....well, when being photographed. They move at the very quick pace making me stay on my toes to keep up with them. It is a dance actually between the bird and the photographer. A typical 15 minute series would end up something like this.....from a low angle I set up the tripod and camera, I take a few photos, the bird walks past, I get up, walk ahead of the bird, set my tripod up again and the sequence repeats itself over and over again. The dance is necessary to capture the shot, so it is one I don't mind. Another first for me is seeing the white egret during breeding season. Usually the area on each side of the bird's head between the upper base of the beak and the eye is yellow. This area is referred to as the lore. During mating season, the lore is a beautiful shade of green. For spring break this year, I went to the Harris Neck National Wildlife Refuge. There were several photographers there photographing the various birds building their nests in the brush over Woody pond. 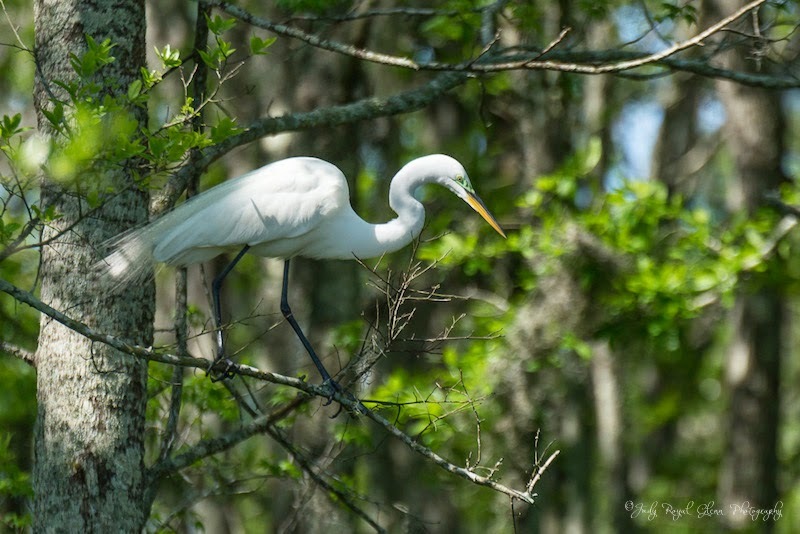 This egret went into the woods to break off a branch to build its nest. The Hummingbird Trail at the State Botanical Garden is not the same without you!! 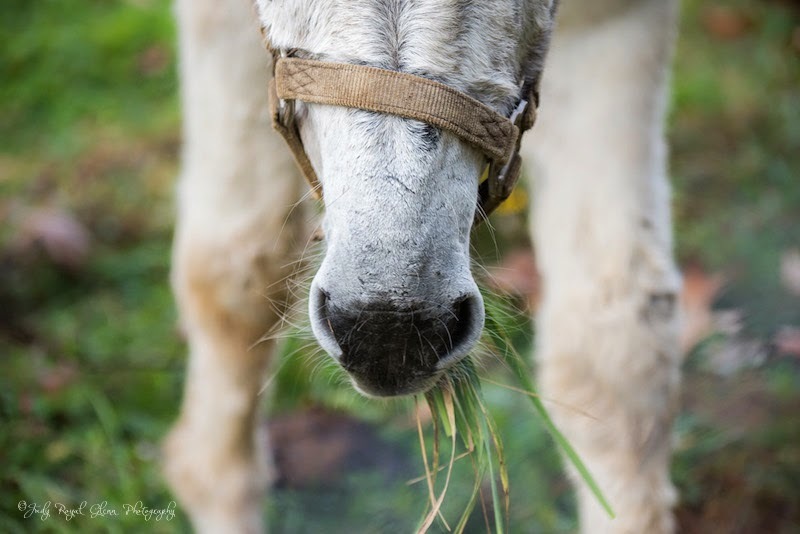 One of my favorite photos from this past weekend is of a donkey in a field. My husband and I were headed to photograph waterfalls when I noticed the donkey. At first, he was far away. I called to him, "Donkey!" I called him repeatedly to see if he would come closer. He did walk closer, but he was still far away. I photographed him from a distance but did not give up on trying to get him closer. I pulled some long weeds and waved them in the air hoping it would entice him. Slowly but surely he came closer and closer. He eventually walked up to the fence and let me feed him. He did not want to be petted though!